One of the biggest goals of my career as an air traffic controller was having a worry-free retirement. I envisioned a comfortable place where I could lie back and watch the world pass by; where I could live not only without work, but without challenge, worry or stress. 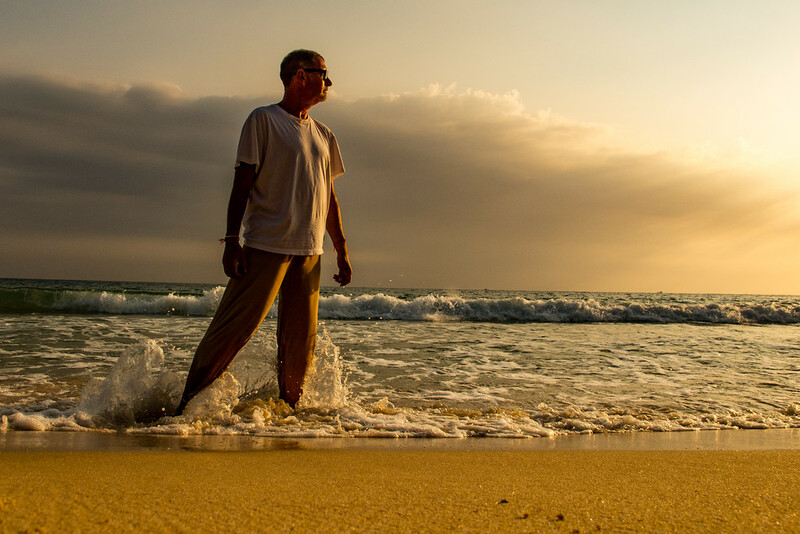 As retirement started getting closer, however, I realized that living in that place would not only be extraordinarily easy, it would be excruciatingly ordinary and boring. I had been reading a lot about what people do to get the most fulfillment from their retirement years. The most inspiring stories were of ones who’d taken retirement as an opportunity to try new things, push their boundaries and seek new horizons. They all intentionally lived (at least a portion of their lives) outside of their “comfort zones” — mental boundaries we construct to keep ourselves content, provide a sense of security and keep our anxieties low. Learning new and demanding things outside of our comfort zones (and maintaining a social network) is key in keeping us sharp as we age. Because I’ve always had a passion for travel, the new horizons aspect of their lives was what appealed to me the most. So, in 2011, at age 50, I decided to sell everything I owned and travel the world. I realize, to some people, that may seem impractical or a little radical, but it made sense to me. I had always dreamed of exploring new places and didn’t want to waste my new freedom by settling into a complacent rut little different from when I was working. It is the unchallenging nature of comfort zones that, on the surface, tends to make them so appealing. The problem is that when we are unchallenged, we don’t try new things or unlock our hidden talents or potential. Studies have proven that learning new and demanding things outside of our comfort zones (and maintaining an active social network) is key in keeping us sharp as we age. Merely exercising the mind with things that don’t push our boundaries, such as reading or puzzles, doesn’t necessarily improve cognitive function. It has to be new things that create a bit of anxiety, but offer potential rewards. Since I retired, I have lived in four countries and visited many others. I love it. I have climbed to Tiger’s Nest Monastery high in the Himalayan Mountains of Bhutan, scuba-dived in the Indian Ocean and eaten the still-beating heart of a cobra in Vietnam (talk about stepping out of a comfort zone!). I have slept on mats in hill tribe villages and in five-star hotels and traveled by every conveyance possible, from private planes to horse carts. Even when I am in my ever-changeable “home base,” I try to push my boundaries every day. Learning new skills, making friends from around the world and putting myself out there by writing my Life Part 2 blog has made my world larger, more nuanced and flavorful (figuratively and literally). By pushing my boundaries, and getting out of my comfort zones, I have become more confident, less judgmental and more open to new ideas. It doesn’t have to be about climbing mountains, diving the oceans or challenging your palate with unusual things for you, though. There are thousands of ways to expand your horizons and challenge your comfort zones, even right where you live. Getting started can be as simple as striking up a conversation with the neighbor you’ve seen for years but haven’t met. It could be as easy as looking on the Internet for a thespian group, joining a hiking club or learning to salsa. Trying new things or even daring to look at our lives in different ways can be scary. But inaction created by fear or inertia robs us of the potential that results from trying new things. Retirement is the perfect time to explore and take advantage of new opportunities. Comfort zones should be places where we go to relax, reflect and rejuvenate. They should not become permanent retirement destinations where we passively allow time to slip away. Me retire de Piloto Comercial hace 2 años los ultimos años de piloto lo hize en SAUDI A. Y un año para repensar en el retiro y olvidarme del vuelo en una casa que tengo en Kissimmee Fl. Estoy de regreso a mi pais Ecuador despues de 11 años y deseo para el próximo año salir a recorrer mas mundo con mi esposa que me ha acompañado por 35 años espero arrendar unos departamentos que tengo en Ecuador a mas el de Florida para tener cash y disfrutar el retiro (no tengo retiro del gobierno) desearia un poco de advice de tu parte para tener una idea mas clara como ahorrar mientras viajamos. La meta es Europa y south east Asia. Ahorrar dinero mientras viaja por el sudeste asiático no es muy difícil. Opciones como Air BnB y varios sitios de reserva de hoteles hacen que encontrar alojamiento asequible sea bastante fácil. Además, Sarah y yo como casa para sentarse donde sea posible. Es una gran manera de conocer gente y vivir en los barrios locales. Viajar “bajo y lento” siempre es menos costoso que moverse constantemente y cambiar de lugar. Si usted tiene el tiempo, basar por lo menos un mes en sus lugares favoritos es deseable. Además, mantenerse alejado de lugares turísticos, especialmente restaurantes, ahorra mucho dinero. Es más fácil una vez que usted consigue ir. Tener una buena actitud y paciencia es clave. ¡Buena suerte y felicitaciones! Me llama la atención que el comentario está escrito en español. Todavía no me he retirado, pero está por venir. Aprendo español y es una de las cosas que tengo pendiente después de retirarme, vivir en un país de habla hispana para poder dominarlo. ¿Ya has hecho eso? ¿Cómo aprendiste el español? Acabo de encontrar tu blog y me gusta mucho. Honestamente, mis habilidades de lenguaje son bastante pobres. Parcialmente debido a la pereza, y en parte debido a los países en cambio donde no hay un lenguaje consistente entre ellos. Mi idioma predeterminado es el español, pero rara vez supero los nombres y verbos de los hombres de las cavernas.